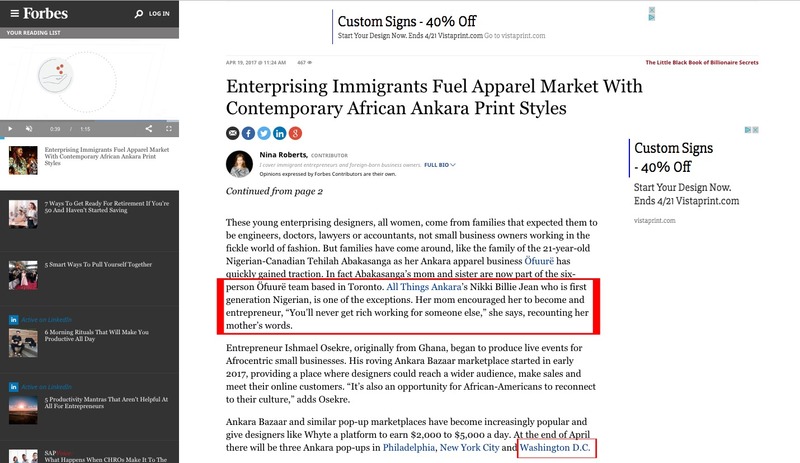 Nikki Billie Jean has been featured in Forbes’s “Enterprising Immigrants Fuel Apparel Market With Contemporary African Ankara Print Styles” article. One of the photos from the “Les Sapeurs” Nikki Billie Jean Ready-To-Wear 2016 collection. 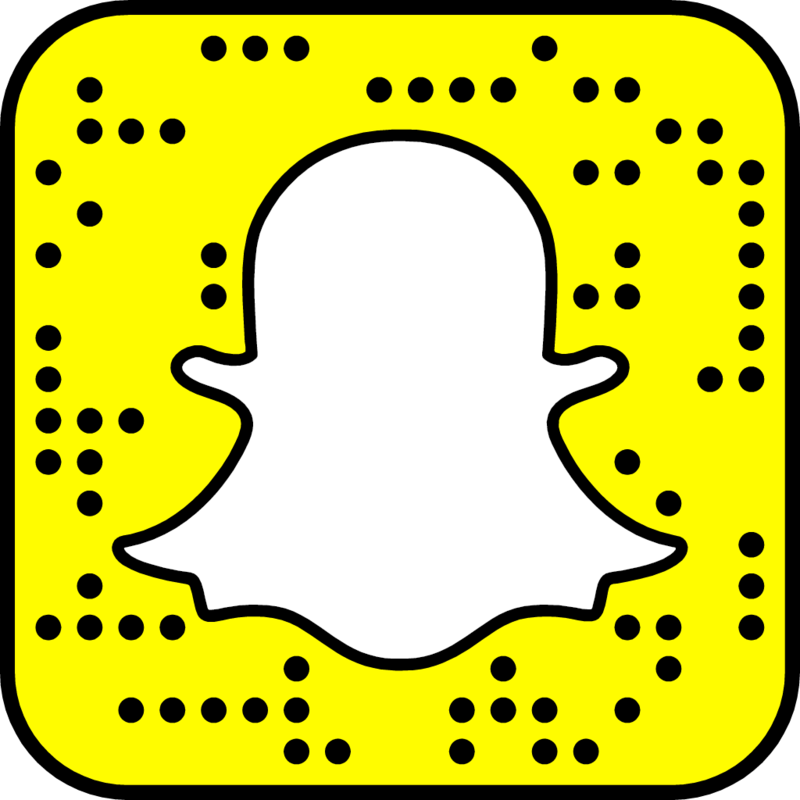 See the campaign photos and video here. 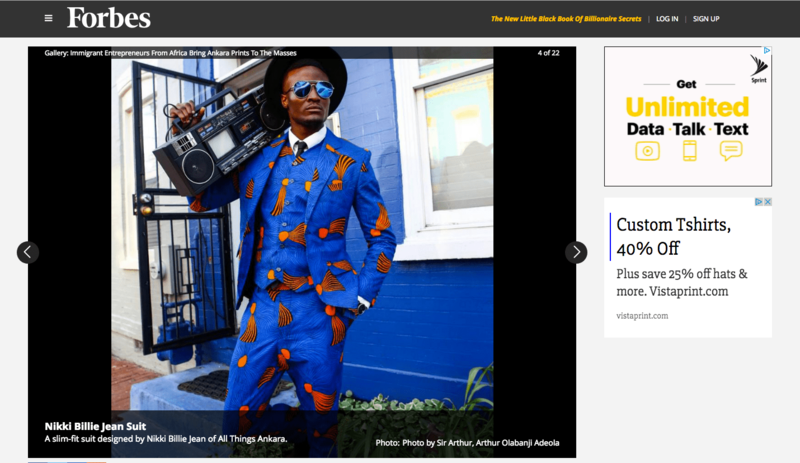 All Things Ankara and All Things Ankara Pop Up 2017 was featured as well. See the campaign photos and video from the All Things Ankara Pop Up 2017 campaign here.